Prime Minister Nawaz Sharif should take measures to save the sinking Tractor Industry otherwise it would have serious repercussion. Pakistan will have to import tractors against precious foreign exchange besides rendering thousands of workers as well as vendors jobless, said Khawaja Muhammad Usman President of Multan Chamber of Commerce & Industry in a press statement issued on Friday. He said that Pakistan is going to face severe food crises in the coming years due some reasons. The tractor indigenous industry plays vital role in uplifting of agriculture sector and provide job opportunities to millions. Over 90 per cent parts of tractors are produced in the country. 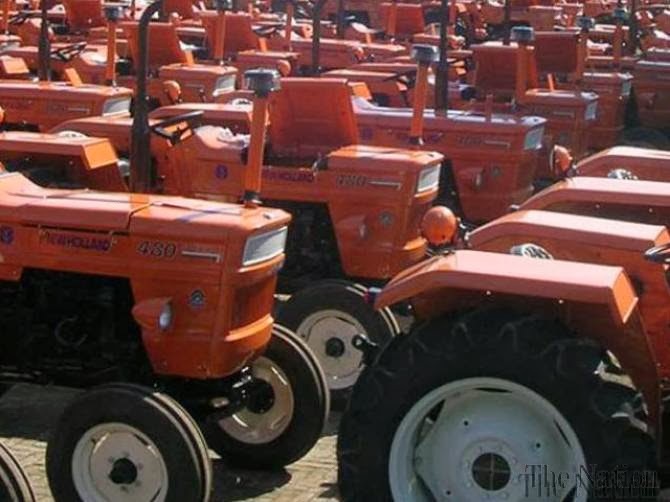 In the year 2010-11 Pakistan produced and sold over 75,000 tractors meeting 100 per cent requirement. It is to be noted that Pakistan is the cheapest tractor manufacturer in the world. Now government has imposed 17 per cent sales tax, which badly hit the tractor industry. On the hue and cry of the Tractor Industry, the government decided to redress the grievances and it planned to implement ST in three stages ie, 5 per cent first year and 5 per cent in second year and 7 per cent in December 2013. There is loss of production from 75,000 tractors two years before to 30,000 tractors this year. The Tractors indigenous industries have gone to standstill and more than 60 per cent reduction in employment due to no demand from tractor assemblers since July 2013. It is said that currently the impact of 10 per cent GST translates into an increase in tractor prices from Rs60,000 to Rs100,000, which has significantly hampered the farm mechanisation and affected the production of tractors as well as farm machinery. It is warned that the impact would be further aggravated in January 2014 as the GST will increase from 10 per cent to 17 per cent resulting into further drop of 40,000 per annum tractor sales and yields of crops threatening food insecurity is and social upheavals. He said that Pakistan is already having low acreage and per acre horse power (HP) is 0.6 /per acre HP of India is 1.01/ per acre China HP is 1.57/ Japan per acre HP is 2.834. To meet the level of India, we need addition of one lac tractors per year for 8 years. Whereas sugar cane yield is 40 per cent lower, wheat & cotton yields are 20 per cent lower, basmati rice is 40 per cent lower and milk yield per animal is 80 per cent lower against the global benchmark.